The days of nicely printed resumes and in-person applications have quickly faded away, giving rise to a digital hiring process. Recent years have taken this transition a step further into mobile recruiting. It’s now essential for job hunters and businesses alike to become mobile friendly. Though some people cringe at the idea of typing professional cover letters using their thumbs or filing out applications on a tiny screen, an increasing number of people conduct job searches on cell phones. Candidates feel that submitting applications immediately on their mobile devices gives them a competitive advantage over those who wait to get to a larger screen. Additionally, job hunters enjoy the freedom of not being tied to a desk during their search. Though unemployed individuals seeking their dream jobs are likely to use mobile hiring tools, these methods are especially useful for passive job candidates. People who are already employed and casually browsing are less likely to set aside hours at the end of each day to look for work. However, applications they come across during a lunch break on their phones may catch their attention. Recruiters refer to the present job market as “candidate driven.” With power in the hands of job hunters, business must update their hiring methods to align with current trends—especially if they desire the passive candidates examined in part one of this series. Companies who optimize application processes to be mobile-friendly see an increase in applicants. Cellphone friendly tactics aren’t only about formatting, but also about time commitment. A push toward fifteen-minute or less initial applications has developed with the rise of mobile job searching. By maintaining complex application processes that require large screens, companies miss out on skilled candidates. 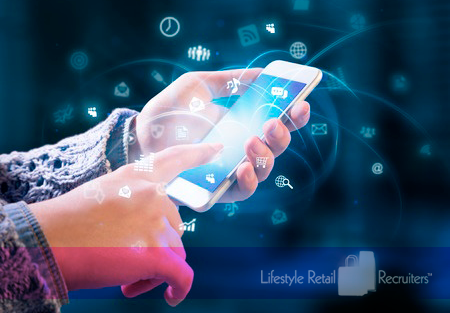 Lifestyle Retail Recruiters are available to ensure that businesses obtain the best talent without having to update their application processes constantly. Consider calling in an expert if your mobile initiatives aren’t getting off the ground or have otherwise fallen flat. In the next section, we’ll examine in greater detail the risks and benefits of social media-based recruiting.